I never thought I’d say this, but people are taking superheroes way too seriously. By people, I mean film critics. They don’t seem to understand that superhero movies are based on comic books. In Iron Man 3, Tony Stark won an impressive victory over a fire-breathing Aldrich Killian, but according to certain critics, he destroyed American culture in the process. The New York Times’ Manohla Dargis said the film exploited imagery of terrorism for cheap thrills, without addressing any of the issues behind that imagery, and said that releasing the film so soon after the Boston Marathon bombing shows that Hollywood is out of touch with the real world. NPR’s Linda Holmes criticized Tony himself, lamenting that his egotism, wealth, and use of technology to cocoon himself make him the “new Captain America.” Steve Rogers doesn’t use remote controlled drones to fight his battles, right? I’m not saying that Iron Man 3 deserves critical praise, in fact quite the opposite. For movies like this, being faithful to the comic books that form the source material is as important as artistic merit. No movie with as many explosions as Iron Man 3 deserves a critic’s approval, but because dodging explosions is what Iron Man does in the comic books, that’s what he should be doing on the big screen. While writers and directors do have to make certain decisions about how to transform a comic book character into a movie character, or even about which comic books to make movies of, critics still need to stop treating the resulting movies as if they materialized from thin air. 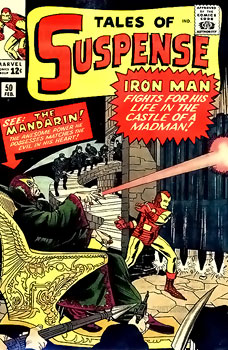 Certain things about Iron Man simply can’t be changed, like the fact that he’s a rich white guy, or that his arch enemy is a guy called The Mandarin, or that he fights people. 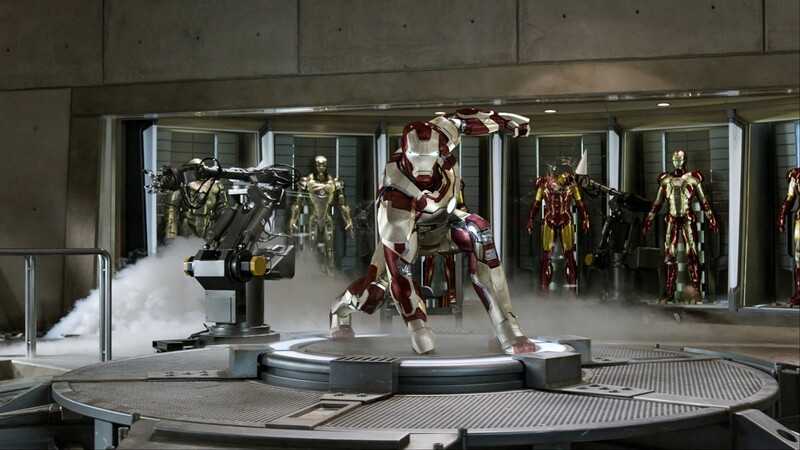 Without those elements, the cinematic Iron Man might be more nuanced, but he wouldn’t be Iron Man. 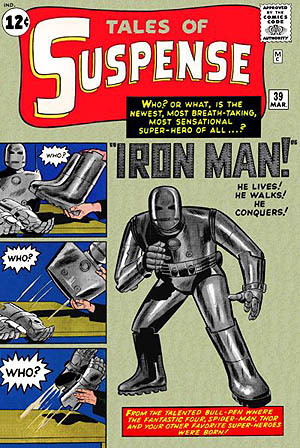 Iron Man and most of his colleagues predate the movie craze that is enriching their owners, and many of the political issues they are now accused of exploiting. When Iron Man debuted in 1963, Osama bin Laden was six, and America was in the middle of the Cold War. Of course, superheroes are capable of changing with the times. Tony fought Soviet-themed villains like the Crimson Dynamo when they were still relevant, and The Mandarin has gradually shifted from an old school megalomaniacal villain into a terrorist. Still, there are certain things that cannot be changed. In the same article on the “Modern Comic Book Movie,” Dargis acknowledges that superheroes predate the movies that depict them, and claims that is he problem. “The world has moved on — there’s an African-American man in the Oval Office, a woman is the secretary of state — but the movie superhero remains stuck in a pre-feminist, pre-civil rights logic that dictates that a bunch of white dudes, as in “The Avengers,” will save the world for the grateful multiracial, multicultural multitudes. What a bunch of super-nonsense,” she says. A team of white guys saving the world does seem inappropriate in our post-feminist, post-civil rights world, but this isn’t just any team of white guys, it’s the Avengers. They resonate because of who they are, not because they are white and male. Superheroes are popular because people like them. They like the idea of them, and more importantly, they like specific characters like Iron Man and Captain America. That’s why, when a movie that does them justice (no pun intended) appears, they turn out in droves. While it’s not impossible for a superhero movie to have an important message, or to meaningfully engage with important issues, that is all secondary to the “superhero” part of it. If you’re looking for cultural critiques, Iron Man 3 is not the movie for you. If you want to see Iron Man in a movie, it is. This entry was posted on May 8, 2013, 3:59 am and is filed under Media, Nerd Stuff. You can follow any responses to this entry through RSS 2.0. You can leave a response, or trackback from your own site.